These Overnight Oats Recipes That Taste Like Dessert are a win in so many ways! They’re super easy to make, they’re ready to take with you on-the-go first thing in the morning, they’re healthy, and (the best part) they taste like dessert. Oatmeal Cookies for breakfast? YES. PLEASE. THANK YOU. Since overnight oats are typically made with rolled oats (although you could try using steel cut oats), they’re gluten-free! In addition to that, they’re a perfect balance of grains, protein from yogurt or milk, calcium, and vitamins (from the added fruit!). You almost can’t mess up overnight oats, and you can transform them into TONS of different flavors and textures! Don’t like them mushy? Use less milk or yogurt! Want them a little more liquid-y? Add more milk! Add honey, nuts, fruit, and almost anything! 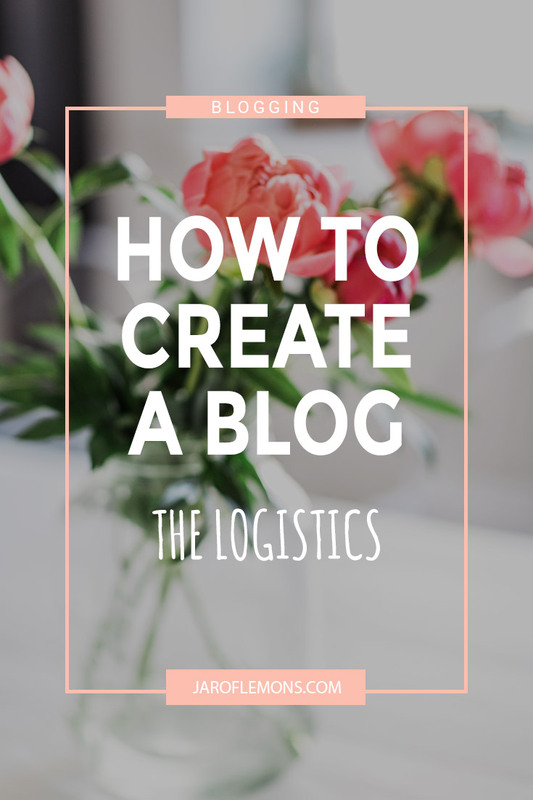 They truly are the best for those busy weekday mornings. 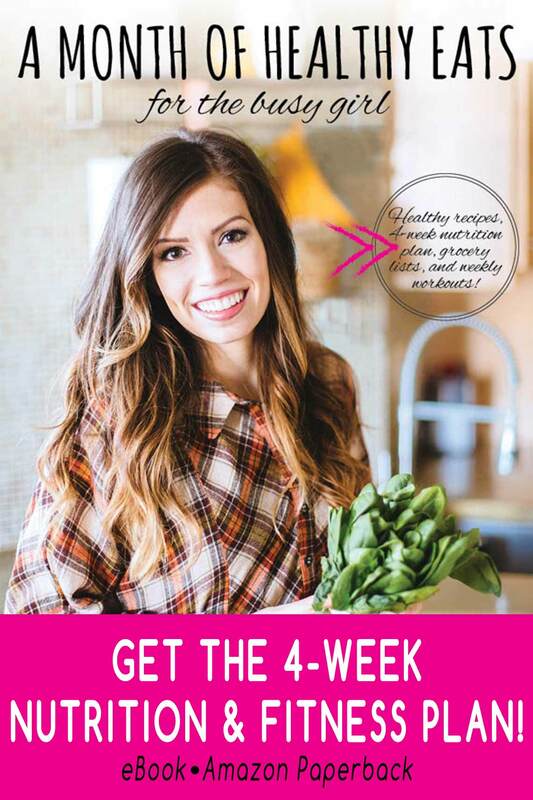 They can also last in the refrigerator for up to 2 days! 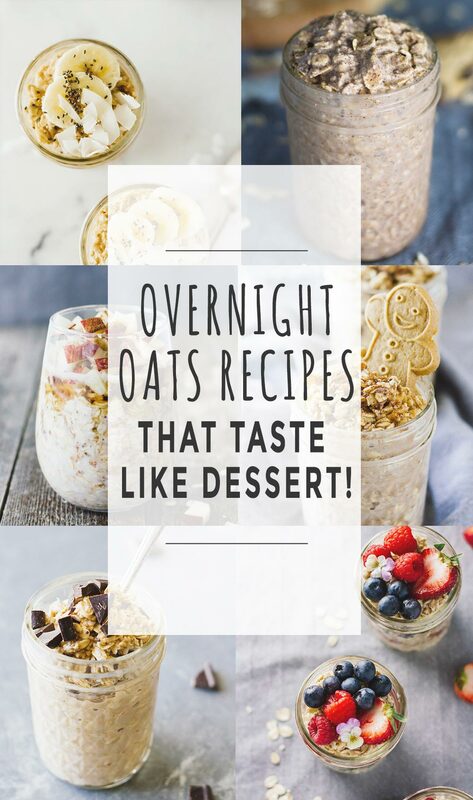 Here is my favorite list of Overnight Oats Recipes That Taste Like Dessert! Basically a cookie for breakfast. Always a good thing. Simply add a little bit of cinnamon and maple syrup to these rolled oats, and we have a good thing going! These Apple Cinnamon Overnight Oats are perfect for a cool day! Think everything fall. Cozy, delicious, sweet! Creamy, sweet goodness loaded with strawberries! So yum! Creamy coconut goodness topped with fresh bananas. YESSSSSSS. This Mocha Latte Overnight Oats recipe is perfect for a little added energy in the morning or afternoon! Everything fall and everything pumpkin in these Pumpkin Pie Overnight Oats! The basics of the overnight oats world. 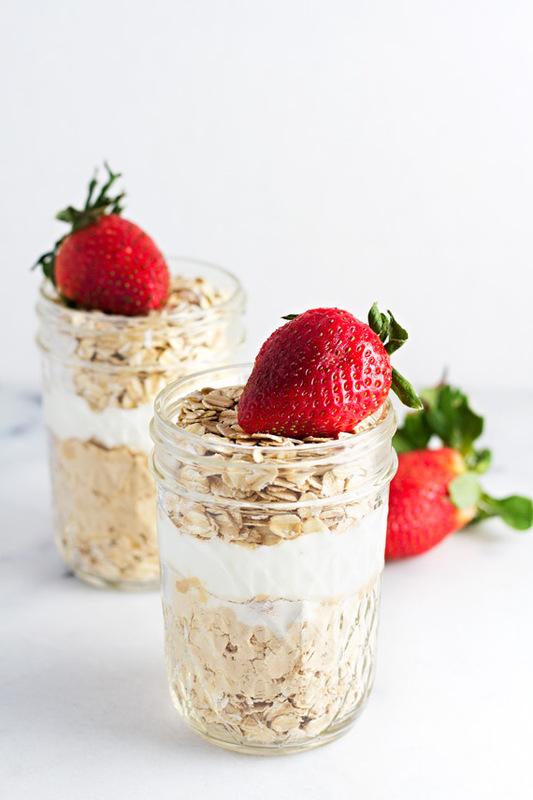 This simple recipe is great starting point for making your own overnight oats variations! Happy eating, friends! What are your favorite ways to make overnight oats? 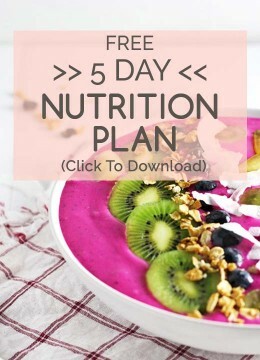 I LOVE overnight oats – it’s my weekly breakfast of choice. Happy to see I’ve already been making some of these recipes on a regular rotation.. now I have a few new ones to try too 🙂 Thanks for sharing!